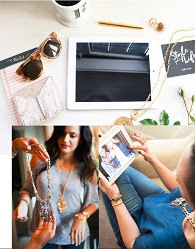 Stella & Dot Has Holiday Shopping Covered! December 13, 2018 December 13, 2018 Abby H.
Not done holiday shopping yet? 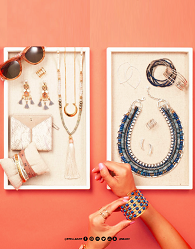 Stella and Dot has you covered, regardless of what kind of shopper you may be. • The Last-Minute Shopper: For the shoppers who like to procrastinate, Stella & Dot guarantees that all orders placed by Tuesday, 12/18 will be delivered by 12/24! • The Price Savvy Shopper: Stella & Dot knows just how expensive holiday shopping can become – that’s why they’re offering 30% Off Sale + New Items Added now through Tuesday, 12/18! • The Indecisive Shopper: For those shoppers that just can’t decide what to buy, Stella & Dot created the Ultimate Gift Guide to help them choose the perfect present for everyone on their list! Saving Money in the New Year on Clothes! The tote of clothes to grow into! I’ve written about clothing swaps before, but I wanted to share some additional resources and tips. Last night I was pulling out the 24 month clothes for Bitty Bird, and making a pile of 18 month clothes that she had outgrown and I thought about how there were probably other moms (and dads) doing the same thing! I try to keep clothing in the next size up for Bitty, but Lil’ Man hasn’t bee growing very much, just wearing his clothes out, so I only have a few outfits in the next size up for him. Everything lives in a tote in her bedroom. But don’t worry, she can’t get into it. It’s part of her changing table set up. We rely on clothing swaps and hand-me-downs for the bulk of our kids clothes. There is no reason that you have to spend thousands of dollars on dressing your kids! The Pile of outgrown clothes! We lucked out that a lot of our friends had girls about a year before Bitty was born. We received a bunch of hand me downs prior to her birth, and we continue to as well. This is great because I turn around and share them with friends who have kids after Bitty has grown out of them! Handing down clothes or trading with friends is a great way to keep costs down and keep unwanted/outgrown clothes out of landfills! Some of our favorite outfits have been hand me downs! I have found tons of clothes (not just for the kids) in the free section of Craiglist. People move, or don’t have time to sell or donate clothing they no longer want. Instead they post on Craigslist! I’ve scored Jack and Janie, Gymboree, and even Nordstrom brand kids clothes all for free! Skyline Church Clothing Plus Swap Takes place twice a year. Pathways Church Clothing Swap Takes place once a year. The Closet on 54th: Open 3 times a month on a Tuesday, Thursday or Friday 11:00am to 2:00pm. Located at Calvary Lutheran Church, 3060 54th Street, San Diego, CA 92105. Men, womens, and childrens clothing. My Helper, making soup for her babies. Last night after separating and pulling out all of the outgrown clothes, I made two stacks. One was clothes to pass along to friends, and the second was clothes that were in play condition. A little wear, some staining, but still in ok shape (good for playing outside). The play clothes I posted on our local Buy Nothing Group on Facebook. I’m really looking forward to some clothing swaps this year! I have a bunch of clothes in my closet that I want to swap out! November 4, 2016 November 3, 2016 Abby H.
I love Cents of Style. They have really nice stuff and it’s inexpensive too. This week you can score a free shirt that embodies the essence of this season “Thankful. Grateful. Blessed” for free when you spend $25 or more. Get a jump start on your holiday shopping (or treat yo’ self), and score a free shirt! 1-Find products you love (jewelry, clothes, shoes, whatever you have to have) and add it to your cart. 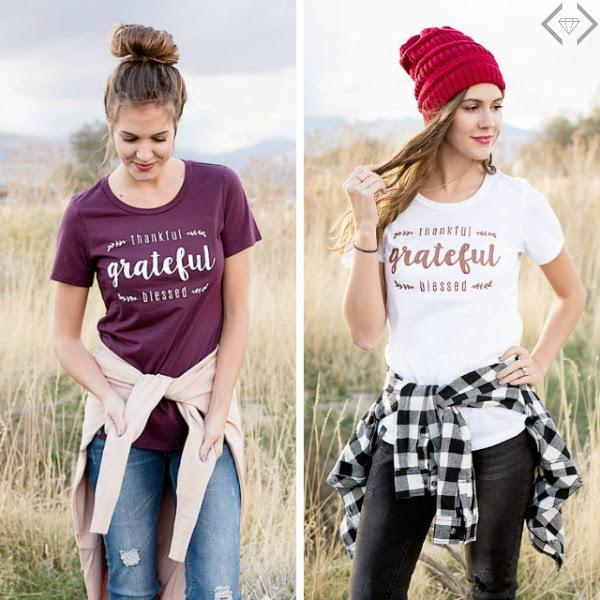 2-When the cart totals $25, add the Thankful Grateful Blessed shirt from our Fashion Friday page to the cart.